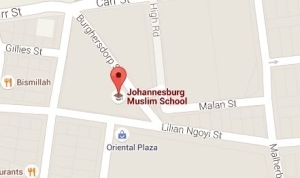 The Gauteng Department of Education’s Johannesburg South District 11, of which the Johannesburg Muslim School forms part, honoured learners and educators for their excellent achievements during the 2012 matric examinations at a function which was held recently. JMS learners and educators have traditionally featured in the honours list and this year was no exception. Tasneem Bulbulia was honoured as the Top Performing learner from all schools in the District in the English Home Language. The school’s English language educator, Muallima Shamima Areff, was honoured for her efforts in guiding her learners and for producing the top performing learner in the subject. In the awards for the 2011 matriculants, five JMS learners were honoured with Yahyaa Moti being the Top learner in the district and Ahmed Mohamed Nanabhay receiving the award for being the fourth top performing learner. JMS also scooped the major Top Educators awards in the 2010 matric exams with Muallima Rookshana Waja winning the award in the Geography subject, Muallima Shamima Areff took the award for the English language, Muallima Fatima Sheikh for Accounting and Muallima Rehana Pathan for Life Sciences. Not to be outdone, JMS learners Safiyyah Khan, Aneesa Suliman, Yusrah Fakeemeeah, Shamsa Bulbulia and Muhammed Chand took the learners awards.